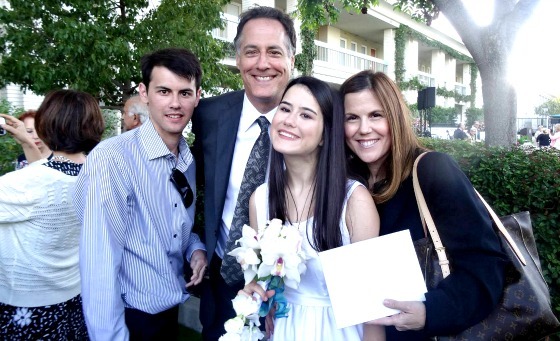 It was my great pleasure and honor to attend my daughter’s high school graduation last week. It was such a beautiful and moving ceremony and a tremendous accomplishment for her. She truly gave blood, sweat, and tears to get to this point. The ceremony was steeped in tradition as she graduated from a girls school that was founded in 1889. The level of engagement, intelligence, enthusiasm, accomplishments, and selflessness among the 93 young women was truly inspirational and gives one hope for the future, particularly in terms of women continuing to raise their stature in our society and hopefully the world. I couldn’t agree more. Questions are the gateway to wonder and deeper truths and, of course, answers. Sometimes when I feel in a rut or think I have it all figured out I force myself to start asking questions, even off the wall ones to get my mind more stimulated. I remember one time I was in the grocery store and wondered why there were not the same number of hot dog buns in a package as there were hot dogs. It’s kind of fun to do an exercise when walking to notice little things in your environment and see what questions might get stimulated. Questions help us pay attention to more of the details of life. It can also bring people closer together. One day you might be questioning what someone really enjoys doing, what type of clothes they like to wear, what they like to eat, etc. so that you can give them a very personal gift or share something with them that shows you’ve been paying attention. What is going to happen to our cost of capital and what is going to happen to our Net Operating Income? The former is heavily influenced by interest rates and the supply of equity capital and its return requirements while the latter is impacted by supply and demand factors. Yet, there are many global factors that can influence the answers to these questions. Even though what’s on my mind may be a stretch in terms of their influence on the two most important questions previously posed, they are still interesting to ponder. What are the implications of the Sunni-Shia civil war taking place in the Middle East? How will this impact the United States in terms of security? Will this impact oil prices? Will Europe be impacted given the large Muslim populations there and possible spillover effects? Will Greece leave the Euro and what impact will this have on other countries and the E.U.? Will the euro continue to weaken and dollar strengthen and what will this do to interest rates and employment in the United States? Will foreign capital continue to have a robust appetite for U.S. real estate? Japan and Germany have very poor demographics and extremely low-interest rates. Will these trends spill over to the rest of the developing world and keep rates low for a very long time? Is the very mixed economic data suggesting a material slowdown in the U.S.? How will this impact employment and household formations? How will robots affect future employment? What will the impact of China’s rebalancing from an investment-oriented model to more of a consumer-oriented one due to the demand for commodities which impact building costs? What will the impact of California’s drought on real estate values and location choices? Why is productivity growth slowing so much in the U.S. when our technological advancements seem to be growing significantly? What will LIBOR peak out at after the Fed starts raising interest rates? Will the prospects of a soaring dollar limit the Fed’s rate increases? Is LIBOR creeping up due to the belief that Fed will start raising rates or does it reflect some concern about credit concerns among banks? When would I decide to choose fixed-rate financing versus variable rate? Could the Fed raising interest rates actually help the economy by producing more interest income for savers? Could higher rates lead to more spending which could lead to more inflation which could lead to higher rates? Will we continue to see young adults move out of their parents’ homes and form new renter households? 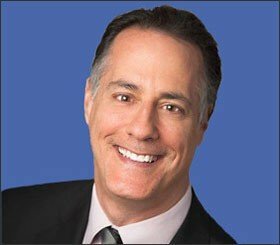 Will mortgage lending standards remain historically tight? What will the government’s response be to the affordable housing challenges that are unfolding? What is the impact of Uber and driverless cars for real estate? What will the impact of Fannie Mae’s and Freddie Mac’s lending limits be on the apartment market? How will life be as an empty nester? Will my book resonate with my targeted audience? So please, whatever you do, never stop questioning! I am currently in Paris for a few days with the family and then off to Greece. I would love to grab breakfast with you when I get back and catch up!